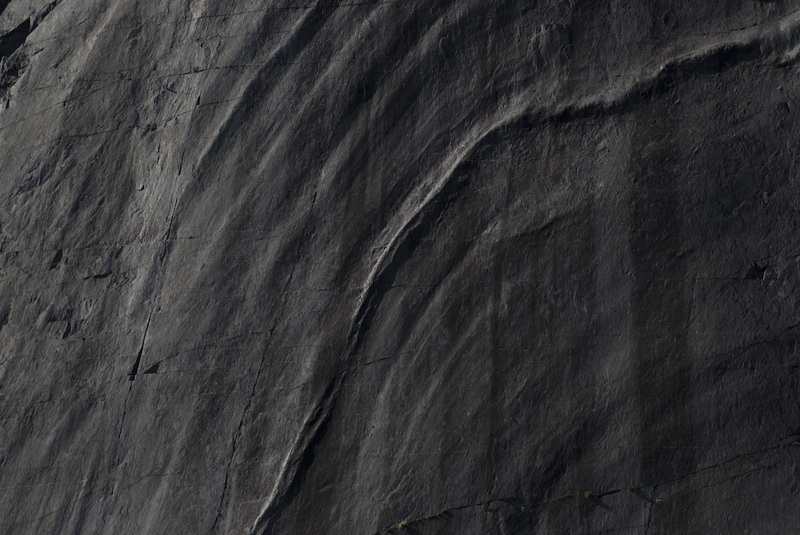 Only the best slate slab in the entire world, although general a place for extreme grade climbers with the easiest route being E2. The abseil point has been replaced as has the lower off/belay on the prow on top of Poetry Pink. All bolts replaced bolt for bolt. Over the Rainbow rebolted 18.03.08 new double bolt belay on ledge and an extra bolt addedd to eliminate ‘gripper clipper’. First pitch still trad, MR.
Cwm Then Dogfish 8a – New resin Anchors 3/2017. Needs a spanner to remove a couple of old bolts.